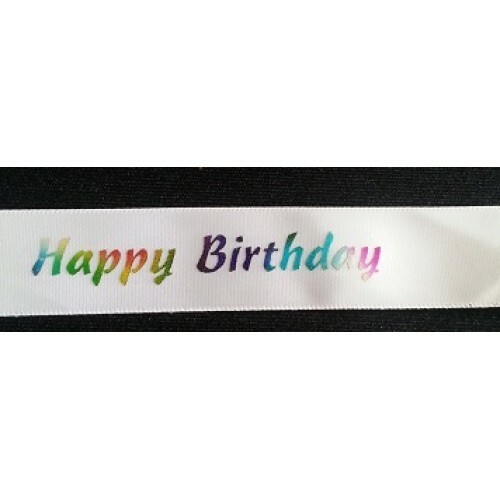 A 23mm wide printed ribbon with Happy Birthday written in holographic lettering. A Sheet of 15 x 2" round precut cupcake toppers. All of my edible images are gluten free, dairy free..